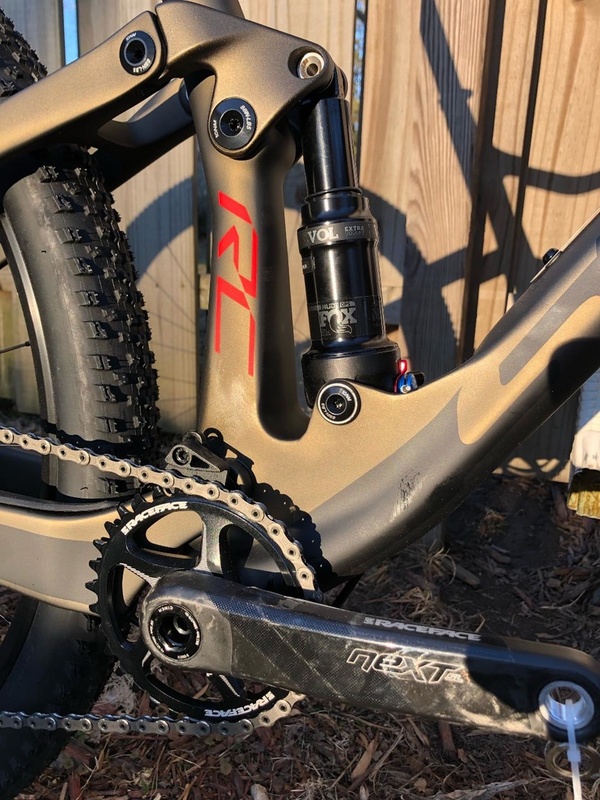 Nothing 'special' for XTR except that the Race Face G5 was originally scheduled for 2020, but was advanced due to demand. Still waiting... ordered mine last 16th july. In Spain Scott says that in March they going to start to deliver the XTR affected models but stores are telling now that they expect them in April. This is incredible. Find out how soon you can have a Scott Spark frame-set delivered and fit your own group set and wheels of choice. Perhaps you would like it with wireless SRAM XX1. I hear even a dropper seat post option shall be wireless. From What I can tell only available as 900 RC WC or 900 RC SL. i m 177cm height and i Think that my size of spark wc will be M. but i have a dubt regard the handlebar and stem integrated.. probably the stock measure of the fraiser is for smallest people.. some help from who have a wc 2019? 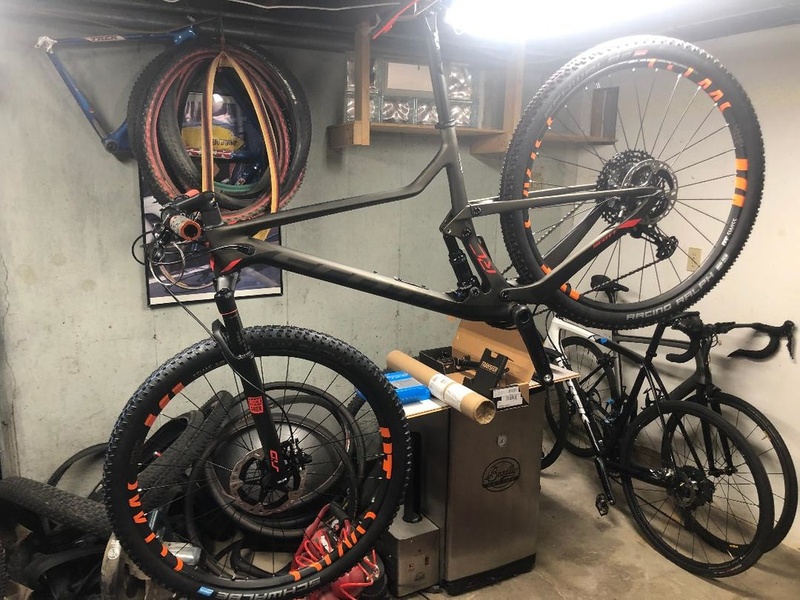 I'm 1m77.5, saddle height 74.6cm and ride a medium Spark 900 RC World Cup N1no 2019 with the included integrated handlebar / stem. Fits perfect. im 1.81, riding M rc900 wc 2019, its great! was riding two days before buying on M and L and as much as i wanted L felt 10x better on M.
Its more dependent on your torso length and arm reach than your height. I rode a M and was always squashed so a L felt perfect. Particularly now days when the stem length has reduced and the head tube angle relaxed. I believe somewhere in this thread it mentions the L has a virtual 80mm stem and M 70mm stem. I originally thought the one piece frazer bars were a ridiculous idea due to the inflexibility of stem length change but after riding they are Sweet! Just an expensive solution to change out. Last edited by bicycleman1; 03-05-2019 at 07:24 PM. Nevertheless, it's a small dawn of hope since i haven't heard anything about my N1NO Frame Kit yet. 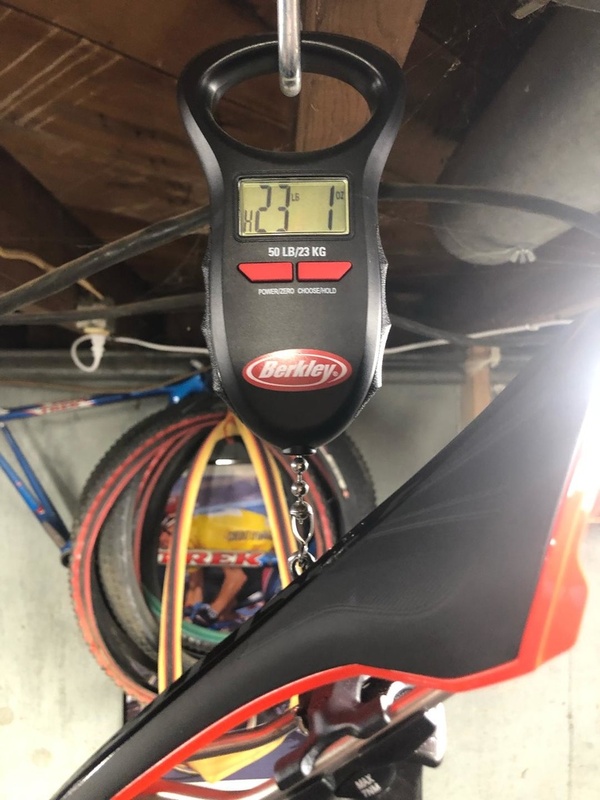 on the spark rc wc 2019 size m how are the original measure of the standard fraiser? how is the real lenght? 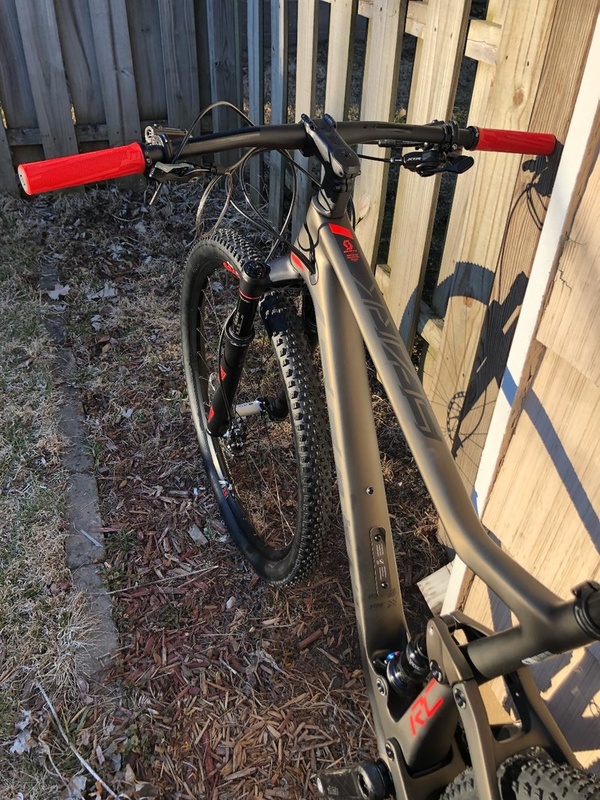 I started this thread almost a year ago seeking info on 2019 models - sadly those 2019 bikes are still not available... soon it will be time to think about 2020 Scott bikes. Hopefully XTR cranks are ready by then. So what I did is placed a Syncross flat bar over the top of the frazer bar where the grips go and measured from its center where a traditional stem clamps back to the center of the steer clamp on the frazer bars. For a L it was approx 85mm which is about right for the virtual spec. Shimano really needs to get their act together. Seems they are always scrambling to keep up with the innovation coming from SRAM. Thank goodness for SRAM coming out with new and exciting products otherwise we'd still be using 2x10 drivetrains on our mountain bikes. for M its equal to 70cm. 1. wheels (custom -> DT350 straight pull with 36T ratchet hubs, CX RAY spokes, Carbon rims 25mm internal). 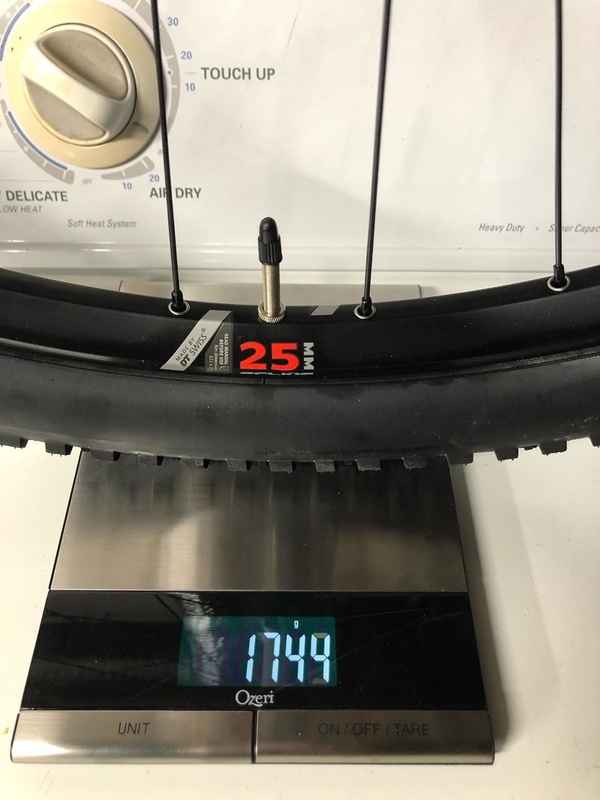 Reason is that standard wheelset is 1750g. This set is just below 1300g. I also decided to change tires, I left IKON's with old wheelset while for new bought new schwalbe combo (ray front, ralph rear - 2.25). Btw real weight of those in my case is 649g. 2. Saddle - bike was equipped with narrow saddle, other than that it was perfectly fine but I had to change it. Priority was comfort/fit. I went for Fabric saddle -> Scoop Pro Shallow. 3. Grips - bike was equipped with nice syncros grips, I had nothing against them at all but from practical point of view yellow grips are nightmare - were really hard to clean. Changed them to Esi chunky. Didnt weight whole bike yet but i expect it to be somewhere around 10.1-10.2kg ready to ride as in pictures. I'm curious how the ray front/ralph rear compare to the Ikon's in speed/grip? Today had first longer ride, a lot of single tracks. In general i think IKON's are great, very fast and had no issues with grip. When I was riding in wet autumn sometimes rear slipped but I'm not sure if any tyre wouldnt in those conditions. Ikons are ok for training. I can't believe how well the Aspens grip however for race days on carbon rims with DT 240's. Bike also lost about 450g. Went the ESI chunky also. One point to note is the forks from the OE supply were not great, after a service and a token addition, they behave much better. Still not as smooth as Fox however. Also replaced brakes with XT as Sram just doesn't cut it for me on in the braking dept. I'm hoping the Shimano 12 speed will be as good or more cost effective than SRAM eagle. I'm after a headset spacer for the Fraser bars on the 900RC WC. The ones on the bike are 10mm thick but am after the same Syncros type 5mm thick or 3mm thick. Do they exist? edit..Just noticed them on an image as attached but do they come with the bike? Reason is bars lowered and steerer cut. Prefer to expose 2mm of steerer above the carbon fraser bar clamp. Also wish to place the OE garmin mount on top. Note: the fraser spacers are a bit larger than other Syncros spacers so the ones off the aluminium stems are different. On a similar topic, has Scott released a stronger garmin syncros mount yet for the fraser bars? The plastic OE one seems a bit weak. I have an alumunium Syncros mount. Willing to trade for your plastic one if it's still new. I also have spare 3, 5 & 10mm Syncros spacer from a Fraser SL handlebar. 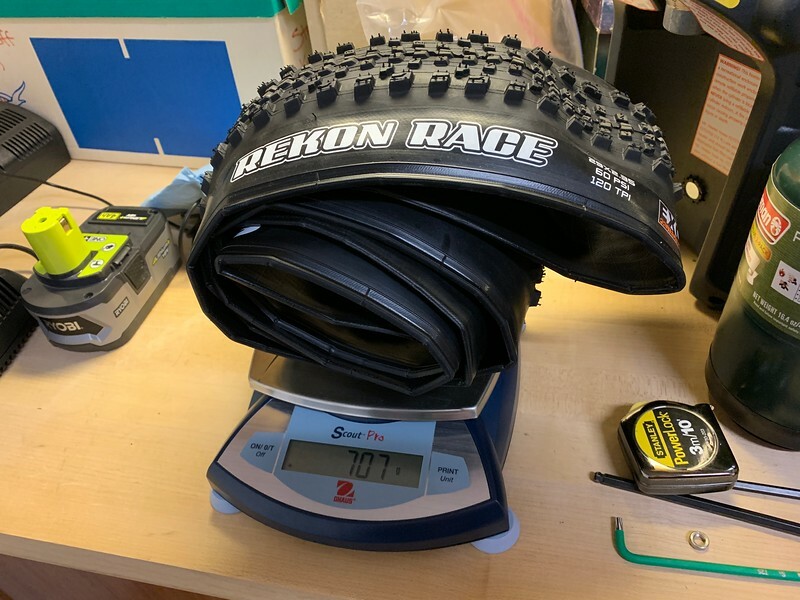 Got my WC few weeks back, was sure i change Rekon Race to Aspens, but the Aspens i bought are about 675g, and Rekon races weighted 715g, only 40g difference per tyre and considering Rekons are 2.35 not 2.25 like aspens, i think i'll stick to Rekons! Yup same here. I'm running the Aspens on my Epic and the Rekon Race on the RC WC. That said, Specialized makes very light tires. I'm ok with the Fast Tracks on SoCal hard pack stuff. The only tire I would not buy again is the Thunderburts. I got them on special for $20 (75% off). Even at that discount, I would not purchase them again. Size and weight? Particularly interested in the whelset model and weight. Thanks. 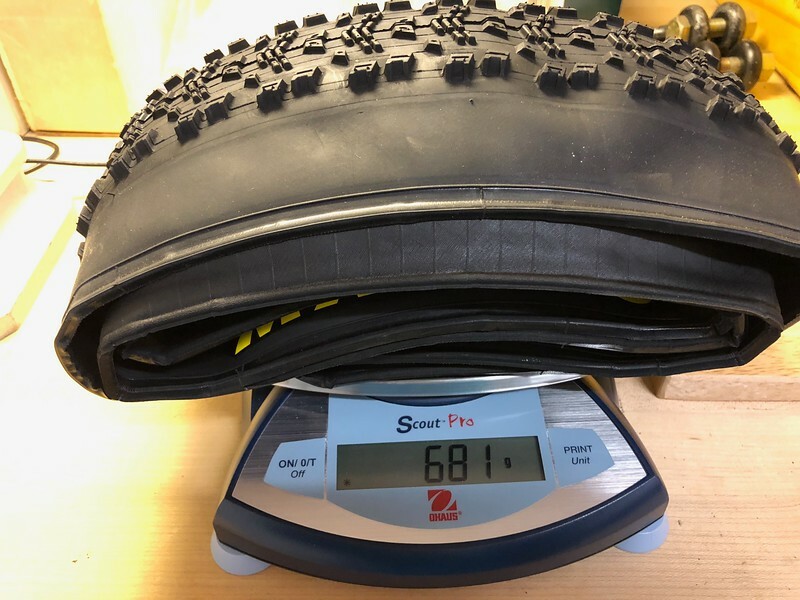 Per DT Swiss website they should be 1800g. 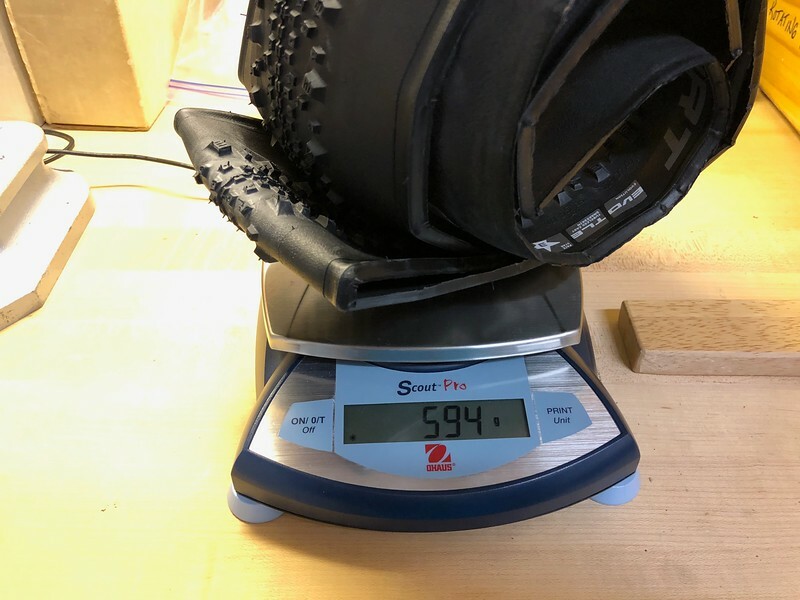 I just replaced mine with EIE carbon wheels at 1297g/set (measured). I have about 50 miles on them and they feel great so far. I posted pics on my thread if interested in seeing. I've been researching a replacement set, as you've done, but in the continuing wait for delivery, I'm just searching for actual data of the supplied wheels. Actually that's one thing I was glad Scott did to keep costs down. 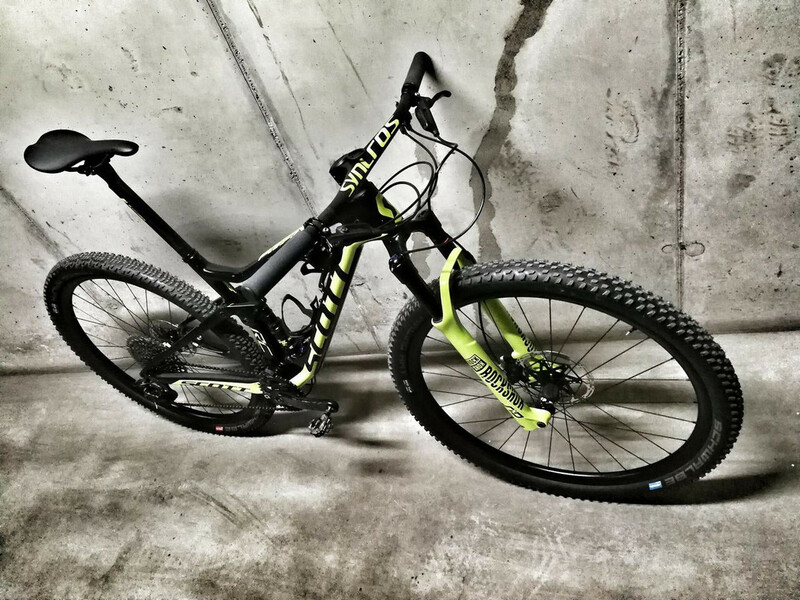 The Pro comes with XTR, SID, and various CF bits for $4,750. Seems like the deal of a century compared to what else you can get at that price point. 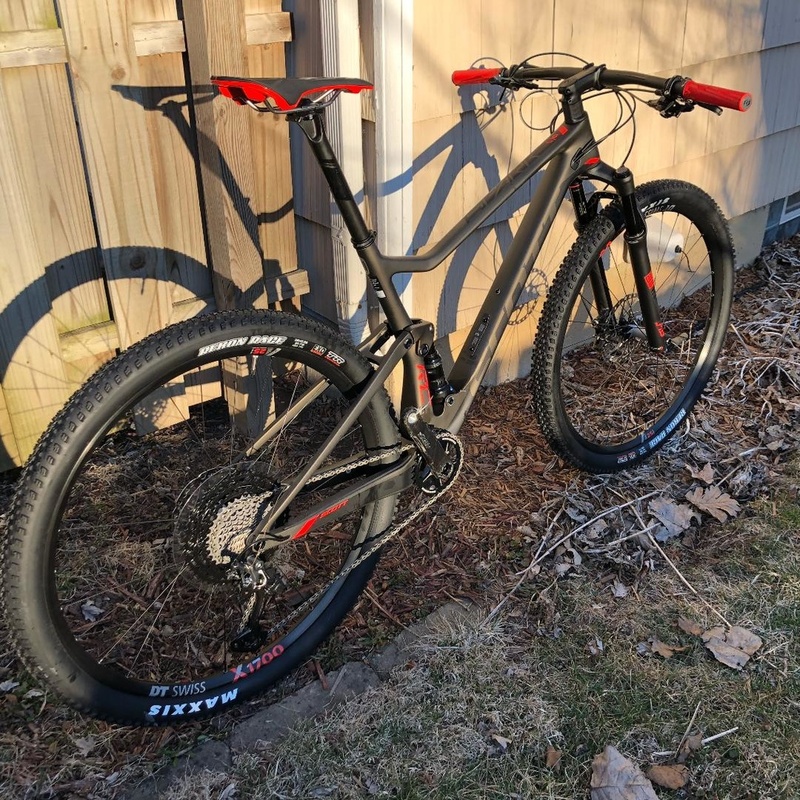 That said, I'm used to buying over-priced Specialized bikes. 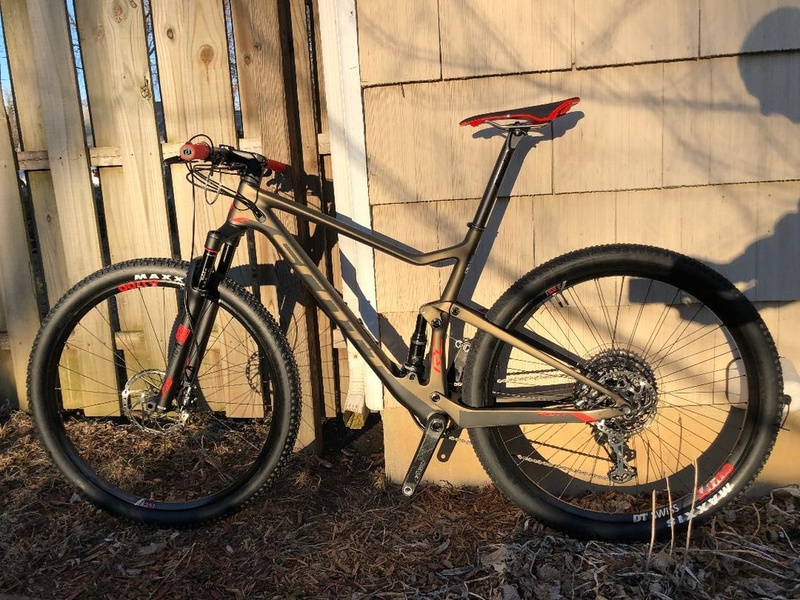 The XTR Specialized Epic is $10,400. Granted with some other higher end components but surely not $6000 more. Anyway, see post #391. 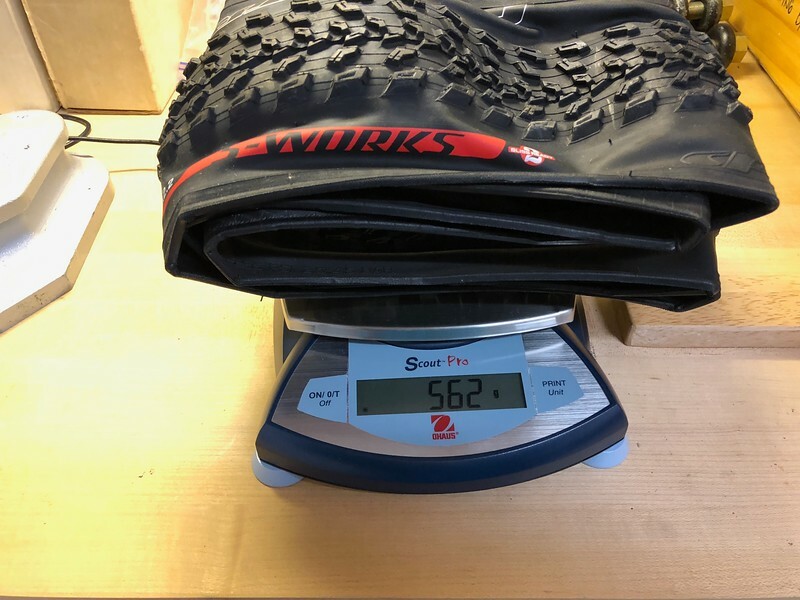 I weighed my DT Swiss X1675 from my 2019 RC 900 WC. They came in at 1750g and should be a small upgrade to the versions on the Pro (X1700). The DT Swiss X1700 is DT's standard offering. The F = 833g, R = 952g. Most likely the only difference between the X1675 and X1700 are the spokes. You can get a 1300g CF wheelset for $1k. Seems like you would have a sweet build just swapping out the wheels and dropping over a pound. You notice the acceleration difference in every pedal stroke. When you do get it, I would be curious what rear shock pressures your running. I'm running 210psi (rider weight + 45psi). Seems like a lot to get 22% sag setting. Granted... the one-piece carbon Silverton wheelset was an expensive addition and not an overly practical one for my style of riding (stick through wheel? ), so happy about the price drop. 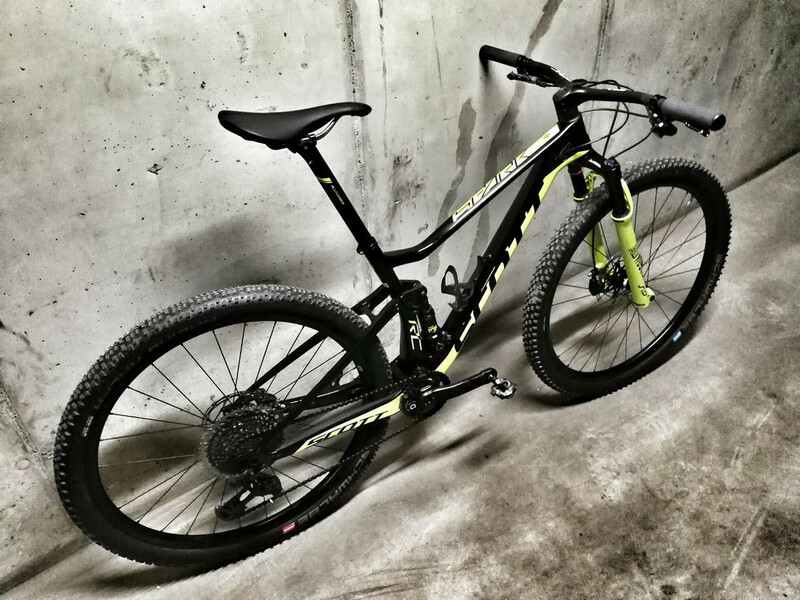 Here are some pictures of the new Scott RC Pro. 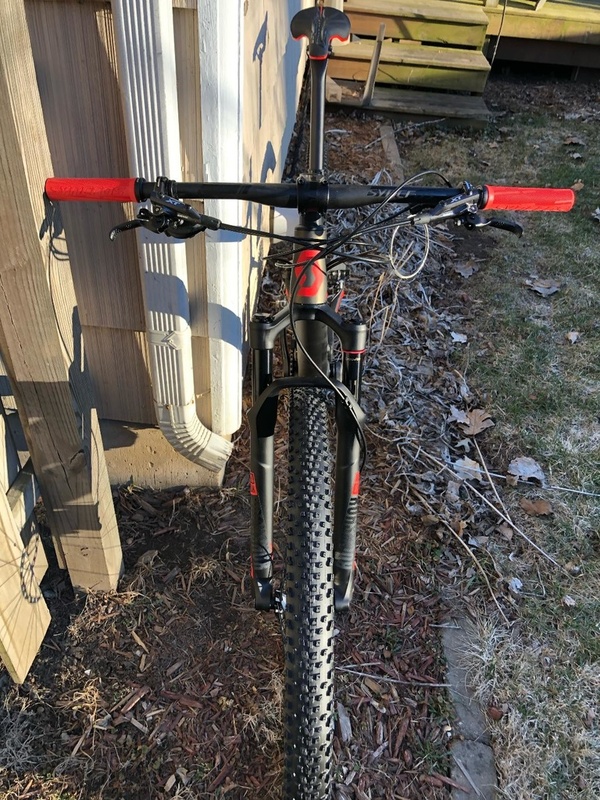 Included some pics of wheelset with tire and tubes still on minus cassette and rotors...Changed wheelset right away to dt swiss xrc 1200 and saved almost 3 lbs! 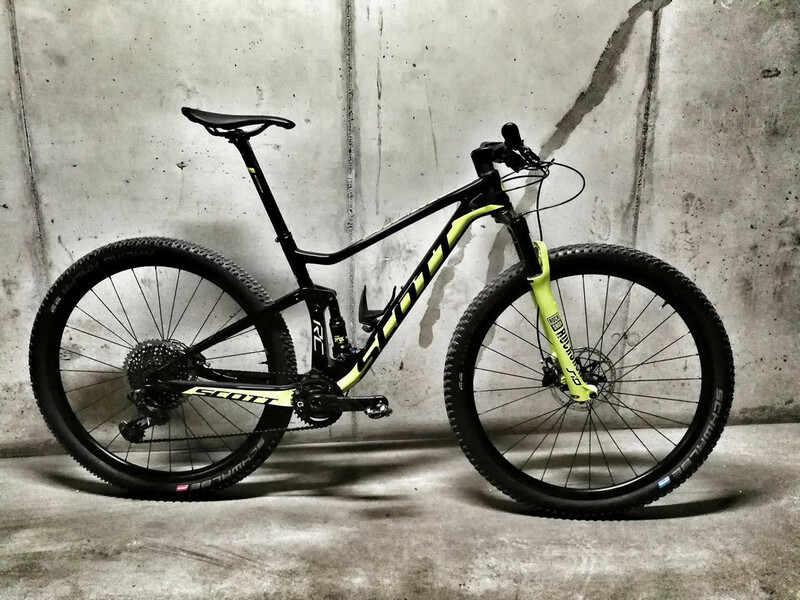 Can you check the length of the crank spindle on your Race Face? I am still waiting for my RC PRO, and plan to put a Stages power meter on it. The old Race Face Next SL was compatible with the Stages 134 mm spindle. I am wondering if this is still the same, or perhaps something has changed with this crank. 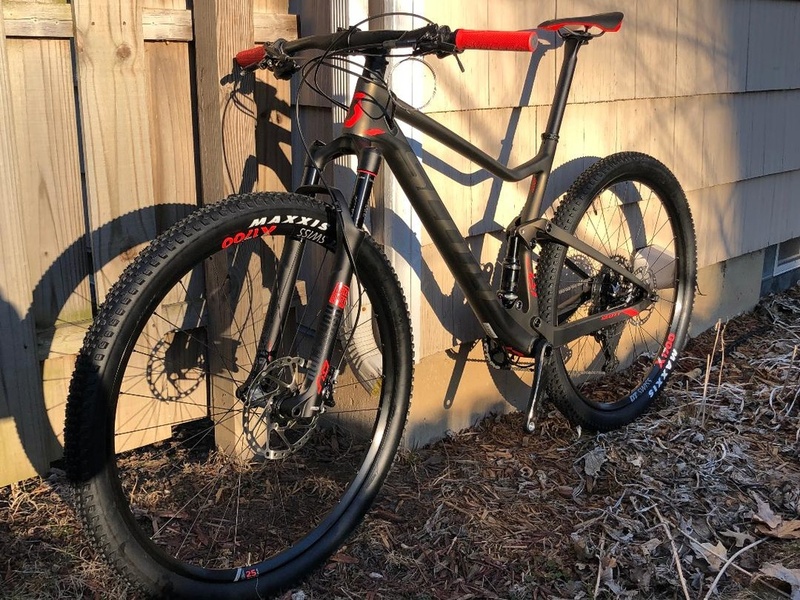 I'm not trusting RC with their cranks and plan to get a Quarq XX1 which will work with Shimano 12 speed cassette and derailleur if a Sram chain is used. In the meantime my RC PRO arrived and it seems that the Stages 134 mm spindle will be ok. By the way, where did you find the information that a Sram chain and Shimano 12 speed casette are fully compatible? Compatible for 9, 10, 11 and 12 speed (Excluding Shimano 12-speed chains). 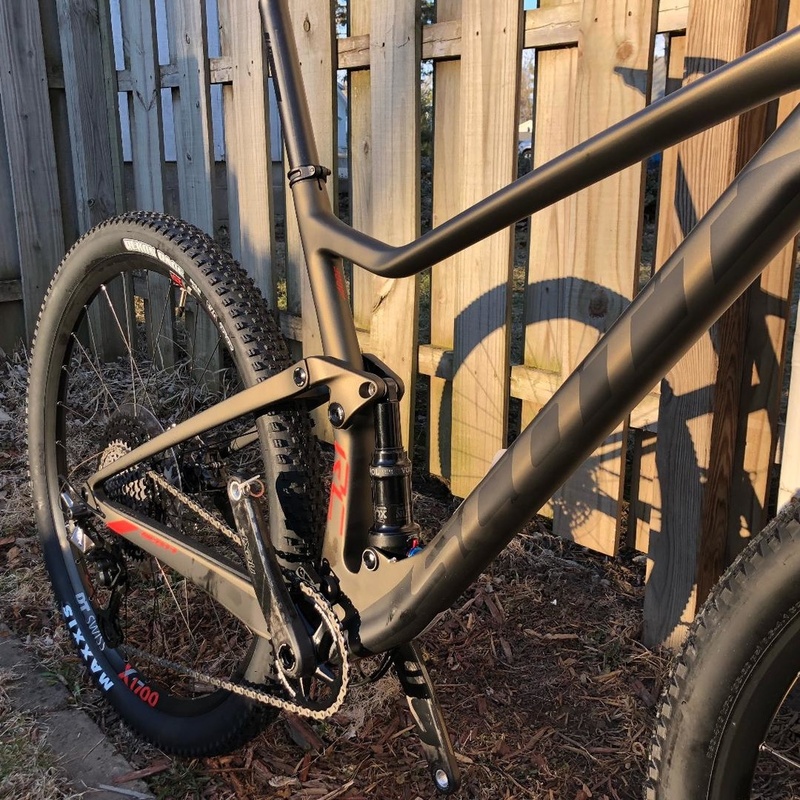 Is it almost time to start the Scott 2020 thread? And then i asked a bunch of chainring manufacturers about a shimano chain compatible chainring. 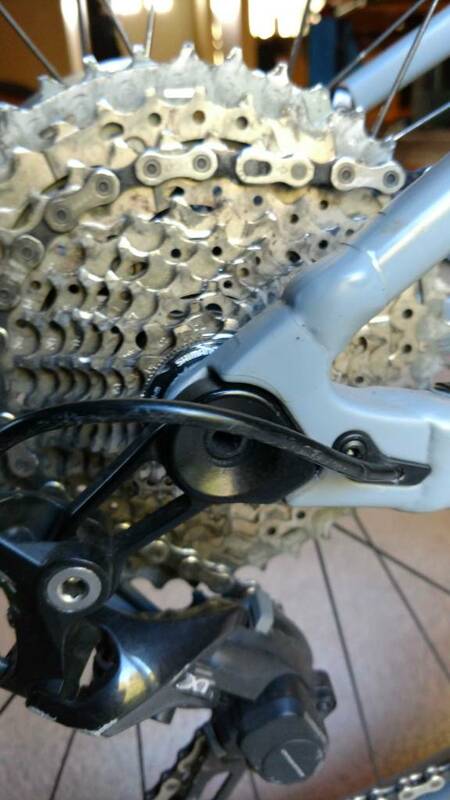 None had one available, but absolute black guys told me that shimano chain is proprietary built to run with the shimano chainring, but that the sram chain has no issues running with shimano cassette and derailleur. Last edited by Smokanci; 1 Week Ago at 10:12 PM. Thanks the XTR 1x12 rear mech and front shifter is a great upgrade without the excessive cost of XX1 or X0 eagle. Personally I much prefer shimano shifters to SRAM but still appreciate the SRAM cassettes. Hopefully this could drive down the excessive cost of SRAM. With SRAM DUB around, this could be the tipping point of Shimano rise once they get the production out there. With the Shimano Shifter, can it shift say 3 cogs at a time up gear when you hold the trigger in? This is one area that puts me off SRAM shifter that it can only index up 1 cog at a time. Eventually RSI in thumb. Wow, that's heavy. 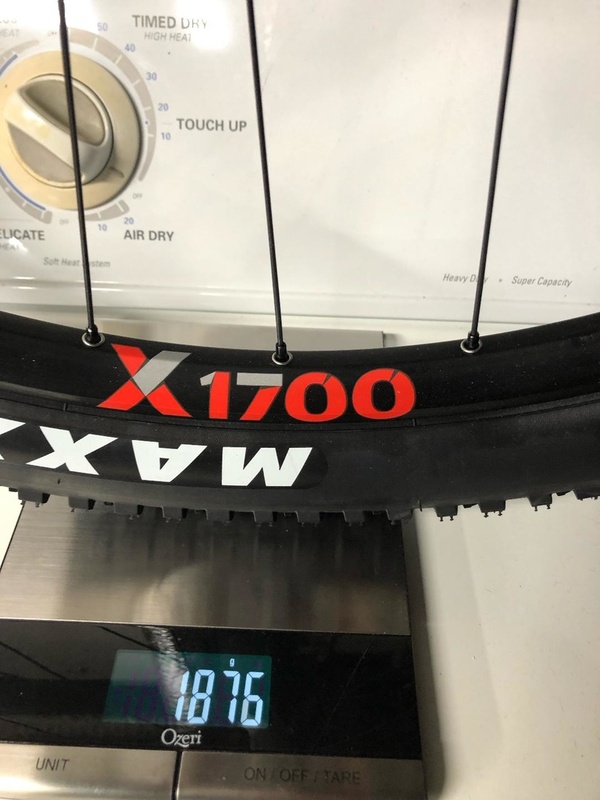 My DT Swiss X1675's that came with my RC WC were 1750g. I swapped them out for EIE Carbon and DT240's which came in at 1297g. I posted pics earlier in this thread. Now I have a friend who busted his carbon wheel and the only option was his brother's wheel with Eagle cassette on it. It ran just fine with his XTR derailleur. 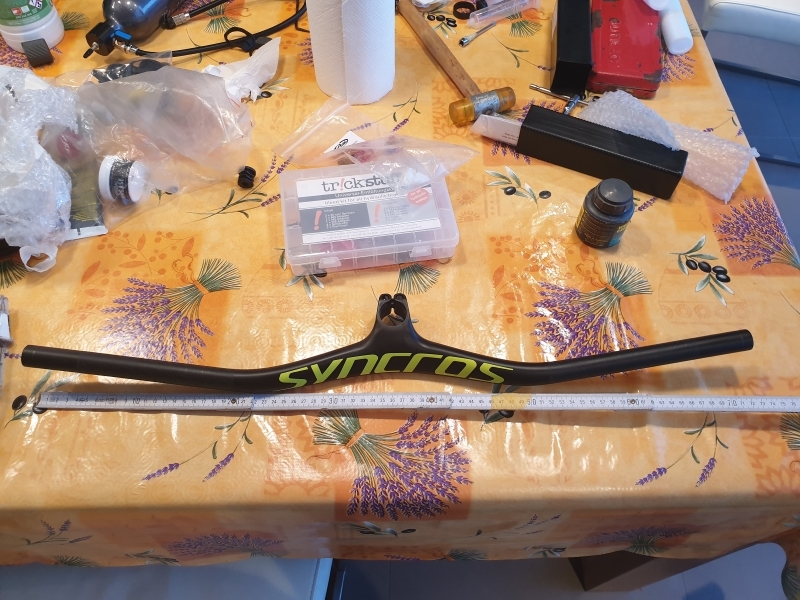 So syncros fraser bar lenght 720/80 on Large and 720/70 Medium ? Is it the same lenght on a spark nino frame?